If Jack White isn’t fully back in action after a long—and seemingly soul-searching hiatus—the good news is that he’s not far away. The iconic White Stripes founder, and occasional member of the Raconteurs and Dead Weather, has slowly been releasing details about his next solo album, Boarding House Reach, which he has described to Interview magazine as “back-alley stabbing music”. Today the singer-guitarist and ever-styling fashion plate not only debuted the first single, “Connected by Love” on the Apple Music radio station Beats 1 featuring Zane Lowe, but also rolled out a video. The track finds White continuing to embrace R&aB and soul, genres that he dove into on his first two albums, Blunderbuss (2012) and Lazaretto (2014). (Note that the singer's label, Third Man Records, recently branched out into hip-hop by signing Queens rapper SHIRT, whose debut PURE BEAUTY is scheduled for release this spring). The soul and R&B flourishes on White's third solo outing might be partly do to the fact that Boarding House Reach was recorded with musicians that normally travel in urban music circles (Beyoncé drummer Louis Cato, Talib Kweli keyboardist Neal Evans). 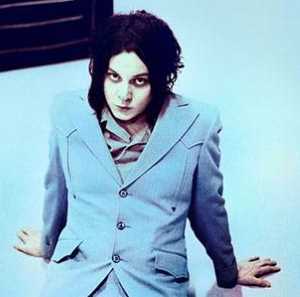 It also reflects the reality that the singer has shown little interest in retreading the bombastic garage-blues formula that first made him famous with the White Stripes. White has announced limited live appearances for 2018, with confirmed shows taking place at the Boston Calling Music Festival, Shaky Knees Musical Festival in Atlanta, and the Governors Ball Music Festival in New York. In the past White has staged elaborate live productions, famously hitting the road with two separate bands (one all-female, the other all-male) for Blunderbuss. That means it’s anyone’s guess if a Vancouver tour date will happen for Boarding House Reach. In the meantime you can sink into the fantastic “Connected by Love” here.